A snapshot of the current Democratic candidates. This graphic also provides insight into the popular candidates based on the size of their photograph. In 2016, the Republican primaries were a discord of announcements with twenty-two people vying for the GOP bid. This coming 2020 election is poised to be just as insane but on the opposite side. 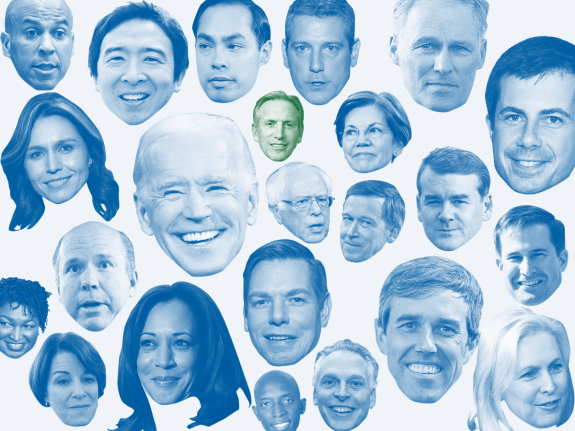 As of now with a little over a year and a half, 15 plus democratic candidates have tossed their hats into the ring with at least a few more expected before time runs out. The presidential campaign works differently from a regular California race because the primaries are split between parties. This means that the, hopefully, strongest candidates from both parties can be put head to head. With Trump stirring up trouble between cold cut conservatives and his supporters, some expect a rival, more classical conservative candidate to appear as a challenger, but, so far, no such campaign has appeared with great success. Because of this, I will be going over the Democrats who are running or are likely to run, going into an overall description and how they stand in recent (at the time of writing) polls from trusted and accurate facilities. This is Joe Biden’s official vice presidential portrait. Biden’s previous political work includes Vice President and Delaware Senator from 1973 till 2009. 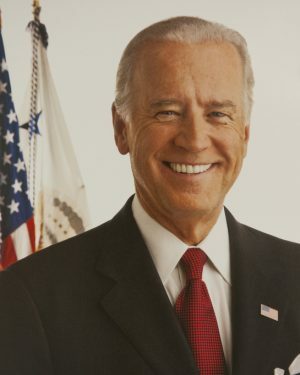 Joe Biden, 76 – Former Delaware Senator and Vice President under President Obama – 28.09% of democratic supporters, on average, support Biden. Because Biden hasn’t formally announced a campaign for the 2020 election, only strongly hinted, we can’t say anything for certain about what his main policy promise will be but early polls show him highly favored even so. His recent blunders with personal space and inappropriate touching may lower his numbers in the future. Ensuring the socioeconomic security of low-income workers in fields such as manufacturing and fast food services. 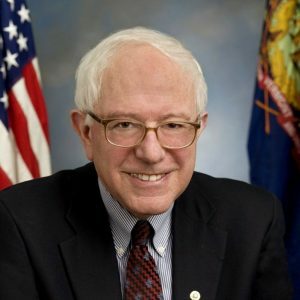 This is Bernie Sanders’ official Senate portrait. Sanders’ previous political work includes Senator of Vermont since 2007 and the Mayor of Burlington. Bernie Sanders, 77 – Senator of Vermont – 20.55% of democratic supporters, on average, support Bernie. Sanders is by far the most widely accepted campaigner who has officially announced his bid. Sanders shot himself to the spotlight in the 2016 election, laying the groundwork for his current campaign. Since 2016 he has worked his strong liberal views, pressuring the raising of wages within major corporations such as Amazon and Disney, calling out cruel immigration policies and pushing climate change laws. ‘Coming out’ as a multi-millionaire, the same group he claims to be fighting against, may lower Sanders’ numbers in the future. Lessening the political power of the extremely wealthy. This is Kamala Harris’ official Senate portrait. 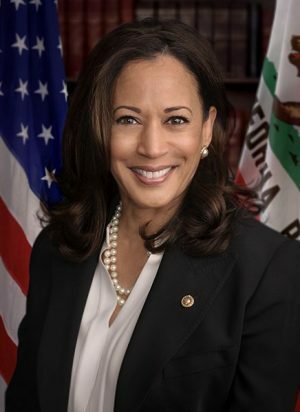 Harris’ previous political work includes California Senator since 2017, six year Attorney General of California and the San Francisco District Attorney for seven years. Kamala Harris, 54 – Senator from California -8.73% of democratic supporters, on average, support Harris. Harris was quite recently elected to the Senate, just in the 2016 election cycle, but has other political background as District Attorney of San Francisco and Attorney General of California. In spite of her lack of experience on the national stage, Harris was quickly noticed, however, during her tough questioning of the current president’s cabinet members and Supreme Court nominee, Brett Kavanaugh. This is Elizabeth Warren’s official Senate portrait. Warren’s previous political work includes Senator of Massachusetts and Vice Chair of the Senate Democratic Caucus. 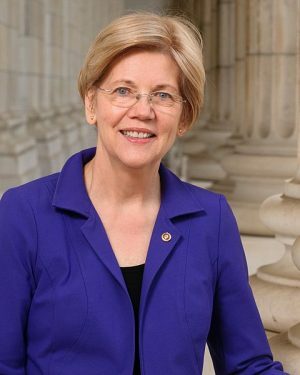 Elizabeth Warren, 69 – Senior Senator from Massachusetts – 8.18% of democratic supporters, on average, support Warren. Warren is a very well know senator among Democrats nationwide. Having been in office since 2013 and worked under the Obama administration, Warren has established a clear name for herself as well as a record of pushing tax reforms that benefit the middle class of Americans. 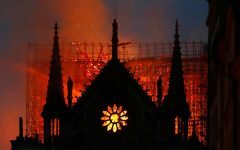 The major scandal she faces is an attack on her marking her race as native American in paperwork in spite of her having heritage from, 6-10 generations ago, proven via a DNA test. This has been brought to the spotlight heavily by Republicans in fear of an otherwise successful campaign. An attack on the middle class by large corporations and political corruption. This is Beto O’Rourke’s official congressional portrait. 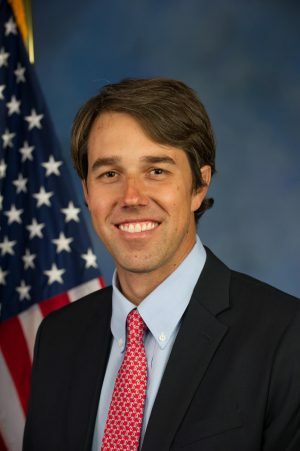 O’Rourke’s previous political work includes representing Texas’ 16th congressional district and being a member of the El Paso City Council from the 8th district. Beto O’Rourke, 46 – Former Texas Congressman and Senate campaigner – 7.18% of democratic supporters, on average, support O’Rourke. O’Rourke gained fame within the democratic party during the 2018 midterm elections after narrowly missing one of Texas’ Senate Seats against Ted Cruz. The final count was just over a 200,000 vote difference in the Texas population of 8.3 million voters, a mere 2.6% difference. O’Rourke is hoping to use this stardom in tandem with a grassroots campaign he kicked off by talking to Iowa residents in coffee shops and in public high schools. Although his polls currently rank low, with his new announcement, his numbers could climb. This is Pete Buttigieg’s official Mayoral portrait. Buttigieg’s previous political work includes Mayor of South Bend Indiana for two terms. 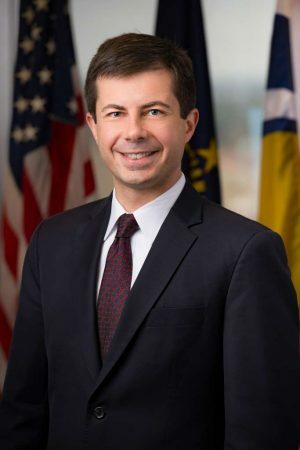 Pete Buttigieg, 37 – Mayor of South Bend Indian – 5.55% of democratic supporters, on average, support Buttigieg. Buttigieg has an impressive record of work for America, serving as a Naval officer as well as going on a deployment in Afghanistan for a brief time during his Mayoral period in 2014, three years after winning his first term as mayor. In his second, race he defeated the Republican opponent with a crushing 80% of the voters. He is most well known for his essay on dealing with the 2016 loss and winning Mayor of the year for his economic growth policies. If elected, Buttigieg would be the first openly gay president. Other names in the race are as follows, but polling already has them a considerable distance behind the six above. This does not mean, however, that they cannot or will not go on to rise in the polls. They are listed in no particular order, have a quick description and their main issues or stances. Even though many candidates, and hence many different options, may seem like a good thing to some, it can actually lead to a weaker candidate being chosen. 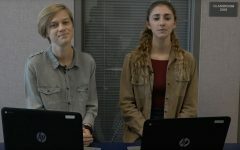 This is because the primary vote may become very divided, allowing a less popular candidate to slip through because the majority of the votes are spread out. As the election draws nearer, candidates may drop out and others may good join in. 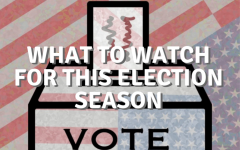 Keeping up to date with election news is a great way to keep an informed opinion. This doesn’t mean tracking every candidate is the best plan, but doing a quick view over and picking one to three that you closely identify with allows you to stay in the loop, without getting bogged down in too much coverage. 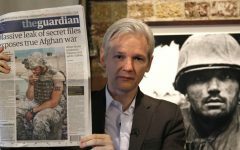 The data used in this article was taken from seven independent polls of likely voters by trusted sources. The raw survey results can be found here. All polls used were of a ranking “B” or greater. Averages were found by adding the polling numbers or each candidate in recent polls, independent of the location of the poll. Individual comparisons and predictions of the electoral map for leading candidates set up against President Trump can be found here. I sense a Darius comment is near. Zach, there was a string of comments last year with someone named Owen Horn who called The Sage right wing propaganda or something rather and we all implored him to write an article himself because The Sage takes student articles, or rather it might have been someone else but that’s beside the point. 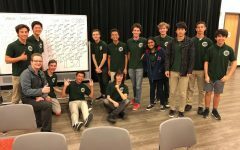 The Sage has grown so much in less than a year I could hardly call my contributions to the class impactful because the current Sage team has completely outclassed all previous teams and it is possibly the most awesome comeback story I’ve witnessed in a while. Things have changed from the politically unbiased Sage of last year as I made it a point in my articles to make objective stances on issues and make my points clearly(even though most of my old articles are like 5000 words) and as an editor I encouraged staff writers who wrote on politics to look at things from a historical and conscious viewpoint. You have to take into the account those who are on staff and avid writers of politics are not at all right wing so to expect them to write about Republicans is unfair. 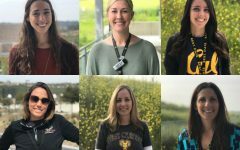 You also forget that being Republican at Sage Creek is like begging to be reported to admin, as well as kids not wanting their friends to abandon them because of their personal political views. Anyone who says “orange man good” is called a racist and a bunch of buzzwords by other vocal students who believe they have the moral high ground and trust me it is not worth it to make a fuss about Donald when he is going to win two times in a row. 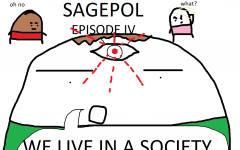 If you would like to read about(old) politics or have a fun look back at the Sage from a year ago here are some of the important articles released last year that I believe do an astounding job to assess all viewpoints and challenge the narratives high schoolers face every day. I’m looking forward to the left’s hilarious reaction when Donald Trump stays in office. More crying, whining, moaning, and the M E M E S that’ll come out of it will be pure comedy gold. To Zach: the article clearly states that the reason it’s focusing on candidates from the Democratic party is because the few potential candidates from the other side haven’t had much success. Not everything has to be about you, and it isn’t productive to delude yourself into thinking it is. To Darius and Connor: Please don’t say “Donald is going to win” like you know it’s going to happen. 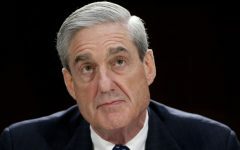 It doesn’t add anything, and nobody can perfectly predict the future, especially when the 2020 elections are still a while away. To Connor, especially: Just because you disagree with the left doesn’t mean that it’s necessary, nor wanted, for you to insult them. Please be respectful, it’s not that difficult. Why does everybody in this comment section hate Democrats? That’s exactly what I’m saying in reverse. Everything is SJW, Democratic, Liberal, Pro-Gun Control, etc. My point is NOTHING is about or for my demographic (not just me), but, thanks to Darius, I understand why.